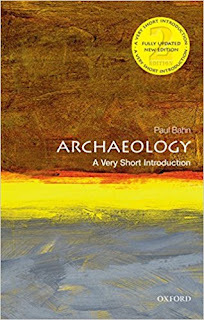 2012 Archaeology: A Very Short Introduction, 2nd Edition, Series: Very Short Introductions, Oxford University Press. 118 pages, list of Further Reading, Index. $12.95. Paul Bahn is a widely published archaeologist, a contributing editor to the Archaeological Institute of America’s Archaeology magazine. And co-author of a popular archaeology textbook Archaeology: Theories, Methods and Practice, with Colin Renfrew. Archaeology: A Very Short Introduction is 118 pages.This consists of a Preface, Introduction, ten short chapters, and a list of recommended readings. There are 22 illustrations, fourteen of which are cartoons added for humor. In his “Introduction” Bahn works through distinguishing what archaeology is actually from the popular conceptions brought to the public through the media. Here he highlights a problem within the academic field of archaeology. This is the central problem with reliance upon archaeology for the interpretation of the past. I have characterized this problem previously as the problem of sample size and overwhelming data. That is, the issue is twofold: only a tiny portion of the past is actually represented by the samples we have recovered; at the same time the amount of data from these samples is so overwhelming that it is impossible that one person could know enough to make an accurate and comprehensive report about what has been recovered. Bahn addresses the second issue of overwhelming data in his first chapter. 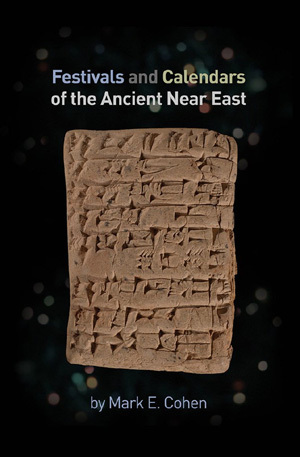 In chapter 1 “The origins and development of archaeology” Bahn traces the combination of digging and antiquarian interest back to Nabonidus (6th c BC) who excavated the much older temple of Naram-Sin. From here he briefly highlights Roman, Greek, and medieval antiquarian efforts. This chapter moves to focus on some of the significant changes in the 19th and 20th centuries. Bahn notes two trends: First: “excavation has become far slower and more painstaking.” (p. 12) The result of this is a great increase in the amount of data recovered from the small sample size and the corresponding need to spend time and resources dealing with this data. Second: “thanks to the development of new techniques and scientific analyses - we can now learn far more from each object.” (p. 13) Thus, while being able to learn more about each object increases the amount of data with which the archaeologists need to wrestle, the data do not increase the sample size to create a more accurate bigger or historical picture. It is particularly these cautionary comments that make this little volume of value. Bahn includes these kinds of warnings on almost every topic he introduces within the field of archaeology. Bahn is not a skeptical uninformed outsider. He has long professional experience in archaeology. In the third chapter he defines experimental archaeology and ethnoarchaeology (attempts to reproduce the methods the ancients might have used to create the artifacts). And along with pointing out benefits of these methods he also highlights and the dangers and limits inherent in this kind of interpretation. In the next three chapters Bahn addresses techniques that are mainly used to address the questions of (chapter 4) “How did people live?”, (chapter 5) “How did people think?” and the ways they may have structured their (chapter 6) “Settlement and society”. As an example of Bahn’s caution, when he introduces archaeoastronomy and cognitive archaeology he uses the example of the Megalithic structures like New Grange, Ireland. 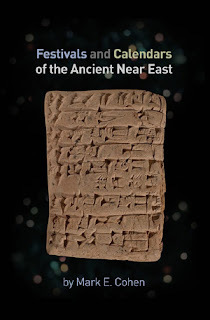 Here Bahn also deals with the problem of the “religious explanation” -- the tendency of archaeologists to explain things by claiming that an object was “religious” is one of the most common non-explanations given through the history of modern archaeology. The rest of the volume focuses on the difficulties in interpretation between competing schools of thought, both historically and currently, in archaeology. There are some methods and techniques discussed in these chapters, but mostly Bahn focuses on where theoretical views and frameworks were developed, the philosophical origins of these interpretive frameworks, what has been proposed through their perspectives, and how these interpretations have been challenged. Bahn provides valuable general criticisms of various aspects of archaeology while introducing these aspects. This is, indeed, a very valuable feature of this work. But it is puzzling to me that the author seems to assume that his readership is clever enough to distinguish between snark and actual critical evaluation while at the same time asserting that his readership is too shallow to be bothered with reading things that might bore them. I've put together a list of Hebrew audio files to include on a playlist. You could use a list like this on an audio player while doing a morning walk. The texts are the liturgical parts of the Order of Matins. audio recordings of the parts of the Order of Matins. This list contains the spoken parts. my audio recordings of the parts of the Order of Matins. This list contains the chanted parts. The chants follow the musical settings in the Evangelical Lutheran Hymnary. Some may find the chanting an aid to memory. 7 That we, being delivered out of the hand of our enemies: might serve him without fear. 7 And to grant to us, to serve Him without fear.